Commonwealth Visa Experts in collaboration with International Student Identity Card New Zealand is up for exciting promos and fantastic discounts for our students! Who wouldn’t want to avail awesome travel deals, money off online shopping, discounts on restaurants or café? 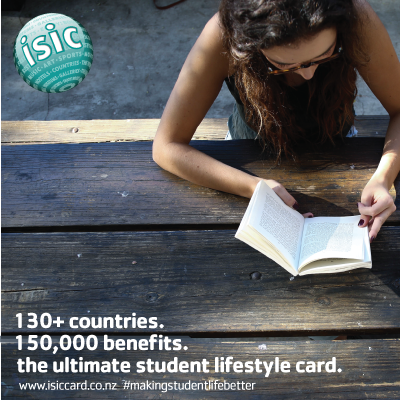 The ISIC card is your ultimate student lifestyle card! International Student Identity Card was first established in 1953 and is now issued to students in over 130 countries. All bona fide students over the age of 12, regardless of their nationality, race, gender or religion can purchase an ISIC card at an affordable price. 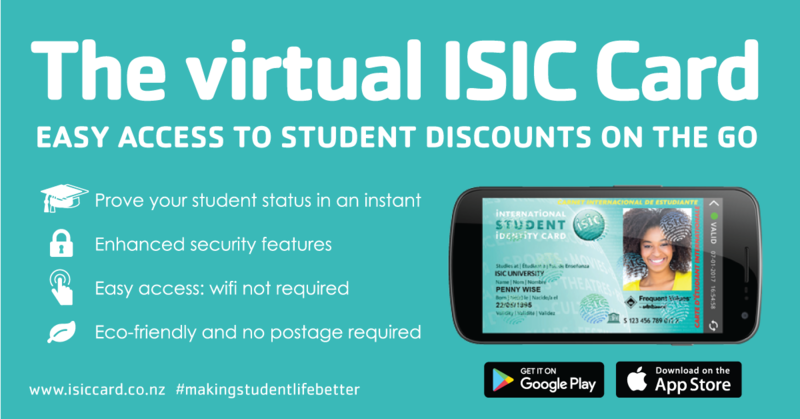 Via one single card, ISIC students gain preferential and discounted access to products, services and experiences relevant to all aspects of student life, from software licenses and cinema access, to bookstores, public transport, cafés and eateries. ISIC is the only internationally-recognised student ID. It’s a must have for any student in New Zealand. With an ISIC you can access discounts both locally and globally. What’s GREAT about the ISIC card is that it has been endorsed by the United Nations Educational, Scientific and Cultural Organization (UNESCO) since 1968. The card is recognized by universities, academic institutions, student unions, national governments, financial institutions and ministries of education around the world. •	You could save heaps on travel, entertainment, shopping, activities, lifestyle and much more with over 150,000 discounts in 130+ countries. That’s a lot of money saving! •	The ISIC gives you official proof of student status all around the world. Prove your student status WHEREVER you go! •	Access student services and facilities INTERNATIONALLY. With all these and more, you will never be short of a bargain! To enjoy the benefits of ISIC card, simply click this link to order your own virtual card. Be connected to a world full of student DISCOUNTS!!! REALIZING YOUR NZ DREAMS WITH TOI OHOMAI INSTITUTE OF TECHNOLOGY! MUST WATCH: Approved Canada Student Visa!